Today is Ada Lovelace Day (www.findingada.com), which marks the contributions of women in technology. I was one of the thousands of bloggers worldwide to pledge to write something about women in tech, and I figured the best way to do this was to combine my interest in IT with my translation activities. The following text is just lovely. It comes from a Czech website called Zkus IT [Try IT], and it is a profile of a truly remarkable woman, Zdena Rábová, who was one of the key figures in the development of the Czech IT sector overall. The text was written by Prof. Ing. Jan M. Honzík, CSc., and the translation is mine. Doc. Ing. 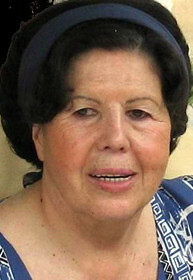 Zdena Rábová, CSc. is among the unequalled personalities not only at the Faculty of Information Technology, where she worked, but in technical university education overall. She took part in the creation and development of an independent computer sector in the Czech Republic as well as in the creation of all study plans and programs in the software sector. She was the founder of the Brno School of Simulation and was among the leading experts in this area in the entire country. Doc. Zdena Rábová was born on 17 December 1936 12. to a family that included the successful and forward-thinking pharmacist and businessman PhMr. Merlíček and his wife, a music teacher with the maiden name of Šašková, who came from Velké Meziříčí and came from a family owning a well-known printing house, whose report card forms decorate quite a few family archives. She spent most of her childhood and youth with her three siblings, older brother Janek and younger Mika and in the enlightened environment of Ivančice. While the Communist totalitarian regime imprisoned her father, Zdena’s evident talent overcame various obstacles. In 1955 she graduated from the Jan Blahoslav secondary school and managed to begin university studies at the building faculty at the Technical University of Brno [VUT in the Czech abbreviation], even though it was not her intended field of study. She finished the Technical University in Brno in 1960, and in 1963 started to become interested in a new field – programming numeric computers. She began her expert career in computers under the leadership of Prof. Drahoňovský at the building faculty, where she attended programming courses on the LGP 30 computer at the Computer Equipment Laboratory at VUT Brno. 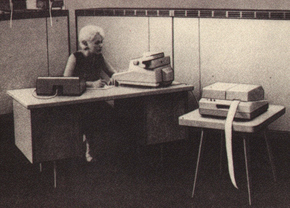 On 2 February 1965, she was accepted at the computer institute of the Electrotechnical Faculty at VUT Brno. After building the laboratory with an MSP-2A computer, I was one of four young graduates who became her students. We made up her “study group,” and under her leadership we gained the first teaching, publication and scientific research experience. She made an indelible impression on the development of our human and expert profiles, and in neverending discussions and disputes many new conceptual ideas were born, especially in the areas of programming, programming languages and simulations. The workshop which bore the seal of her leadership was also the birthplace of the first Eastern European language translator, Algol 60, as well as the first texts on the Pascal language, and a number of original tools, projects and publications. She was the founder of the Brno School of Simulation and was among the leading experts in this area in the entire country. She led the Programming and Simulation Group for 20 years. She focused her scientific and expert work on areas of simulation languages and their translators. She successfully defended her candidate dissertation work, “Simulation of Discrete Systems,” in 1975. She presented her inaugural dissertation, “Abstract and Simulation Models of Dynamic Systems,” in 1978, and was named and established as a docent [senior lecturer] in 1980. She was the author and co-author of 18 papers, and dozens of doctoral graduates, docents, three professors and one priest with scientific honors emerged under her scientific leadership. Under her “raising,” two professors achieved the position of dean. Her deep expert knowledge, connected with an unerring intuition, deeply influenced the workplace from which the Faculty of Information Technology was created, especially in the personnel and structural development. She held the lion’s share of the leadership of the new Institute of Intelligent Systems. For more than three decades she was involved in organizing contests of students’ creative activities which due to her maintained their continuity – and were some of the few to do so – even in the ferment of the early 1990s. Doc. Rábová was an exemplary engineer who, through her humility, systematic approach, self-criticism as well as her refined abilities in written expression, helped the scientific and educational careers of many young engineers. Her sensitive human approach greatly cultivated the majority of her male counterparts. She had all the attributes of a professor, but never made an effort to attain that title. No office I know has had or has such magic as the unique information center that was Zdena’s office. No one was left waiting at her door, and her quasi-parallel method of “serving” colleagues who happened to be sitting with her in meetings or on visits, as well as students who had just knocked on her door, was truly above standard and unorthodox. Zdena’s human dimension has taken on nearly a cult dimension. She is a symbol of hard work, honor, humility and at the same time taking care of the success or problems of others. Zdena was always willing to do work for others or to correct their shoddy goods. Her conversations never had the word “I” in them connected with her personally, her interests or needs, and she said “thank you” to those who themselves should have thanked her. She died at age 69, in the middle of all her work, on 18 May 2006 in Brno. It wasn’t just her beloved family, her husband and important mathematician Miloš Ráb (†2007), her daughter Milena and grandchildren Verunka and Miloš who lost a great figure in Docent Rábová – it was her institute, her faculty, the school and the Czech academic community. Prof. Ing. Jan M. Honzík, CSc.